Photo: The pool at lovely Unique. 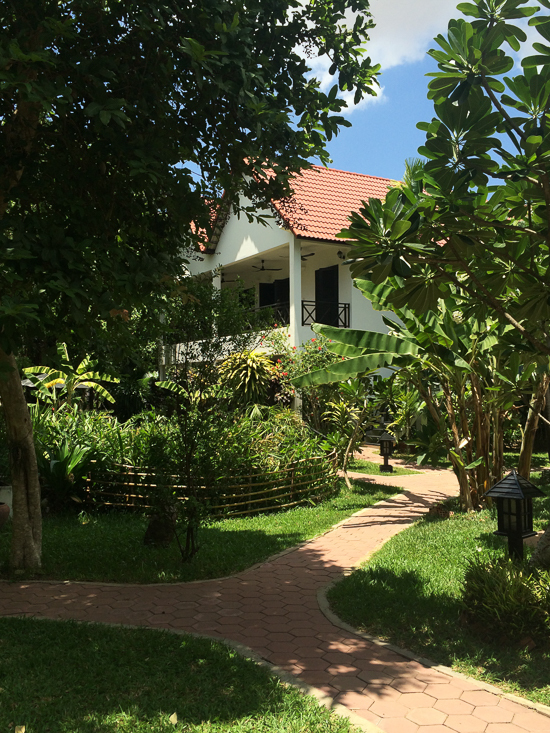 The traditional Khmer villa at the front of Unique Boutique leads you around to a beautiful garden hotel that is fantastic for travelling families, or those simply seeking a quiet haven just a little out of town. 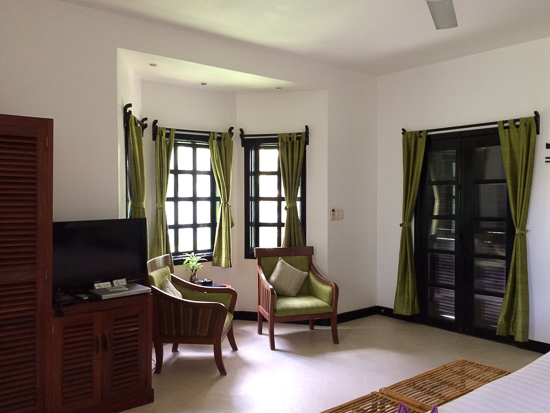 Beautifully decorated bungalows with raw silk-curtained bay windows are set in restful gardens with a pool and great facilities for kids. Formerly Journeys Within, Unique Boutique lies within an easy shot of the airport and the temples of Angkor, and though it’s 10 minutes’ out of town, one of the fringe benefits of staying here is an included evening tuk tuk ride into town for dinner. 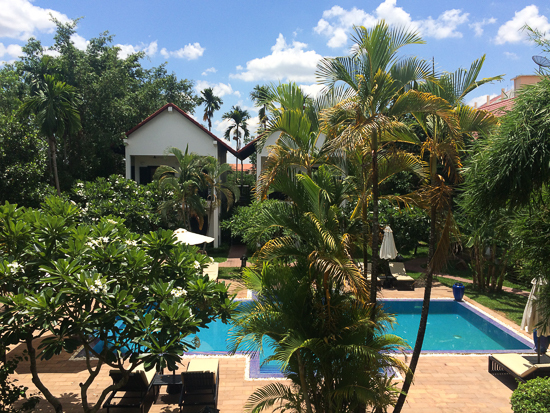 Six large bungalows are arranged around a mid-sized pool, in mature, tree-filled gardens where the greenness and sense of space loosens out the mind virtually from the moment you arrive. And then there are the rooms. Plenty of space again, with understated but attractive furnishings, and everything thought of, even down to the free use of a laptop for each room. Simple elegance that welcomes rather than intimidates. Families are well-cared for here. 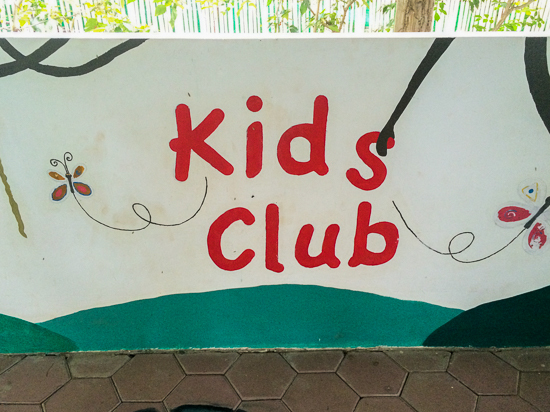 There is a play area with slides and swings, and an enclosed “kids club” games area. The kids can also join in the games at Sunday art classes at Journeys Within Our Community (JWOC), next door. This is an NGO that was affiliated with the hotel before it changed hands in 2015. The relationship between the two remains, and guests can also attend the free Khmer language classes or, if you have sufficient time and the right skills, can volunteer to support the highly credited organisation. This is one of the few organisations in Siem Reap that requires volunteers to furnish a police check and references, making it legendary in our books. Escapism for kids, and parents. The family suite is two big rooms, a double and a twin, co-joined and is suitable for families with young kids of any age. 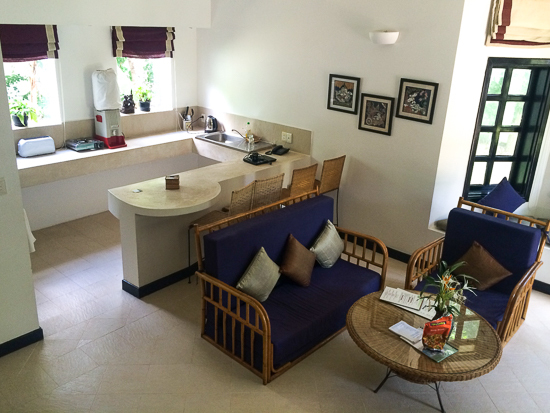 There is also a bungalow, with a kitchen and cooking facilities downstairs and the parent’s room upstairs. Two pull out beds below provide sleeping space for the kids. The hotel recommends this as suitable for older kids, six or seven and above. 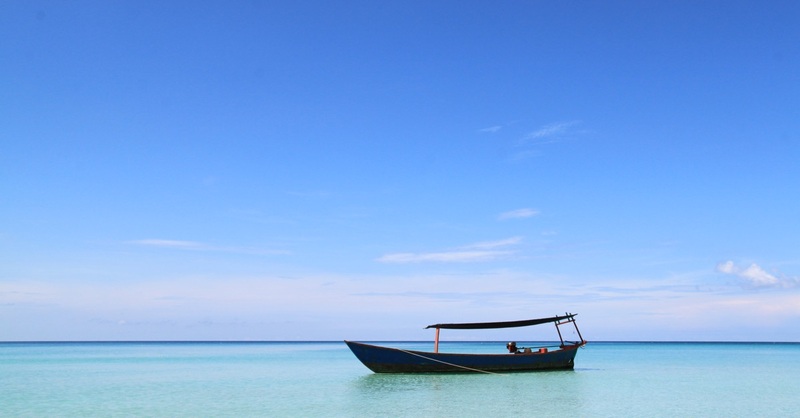 It’s also ideal for couples who fancy traveling a little more independently who would relish the space and freedom. Freedom to do as you want, when you want, how you want. Above the restaurant a small spa offers massages and body scrubs and basic treatments, though not facials. You can also organise an in-room massage when your tired, templed-out bones aren’t able to, or simply don’t feel like, making it out the door. The glass-fronted restaurant can serve food all day, and they are very proud of their breakfasts. Everything was spotless and sparkling when we dropped by and the staff attentive. Other inclusions are a free laundry service and daily restocked soft drinks and water in the rooms. The positive vibes are strong. Recommended. They guarantee the lowest rate if you book with them directly via their website. Check rates at Unique Boutique on Booking.com.